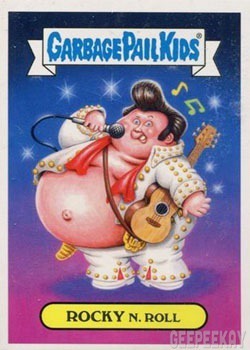 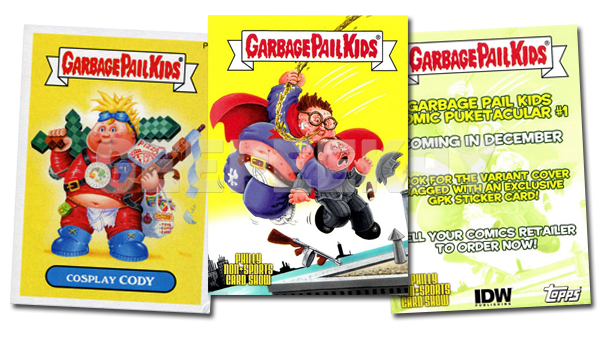 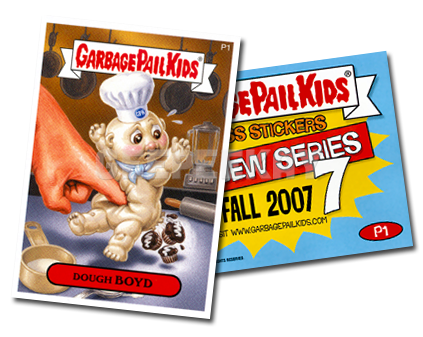 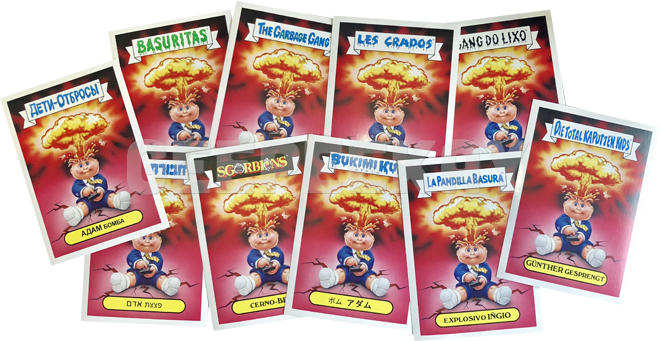 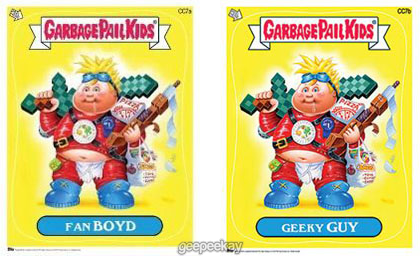 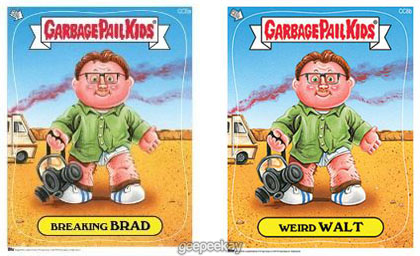 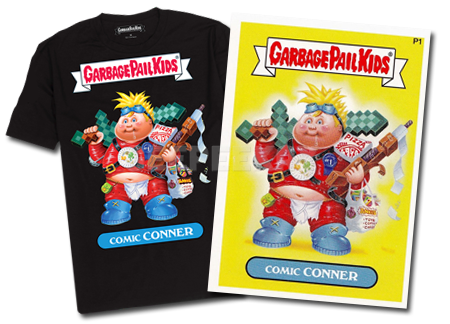 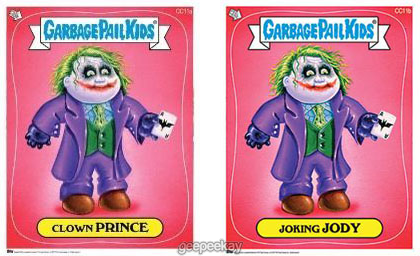 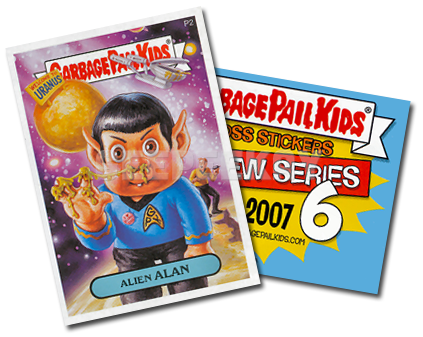 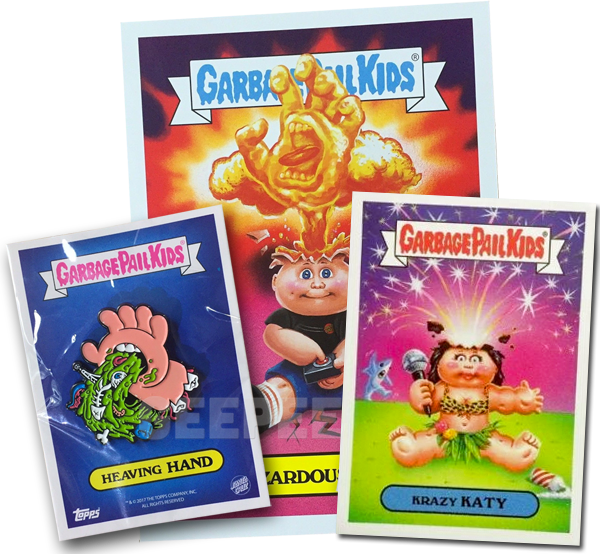 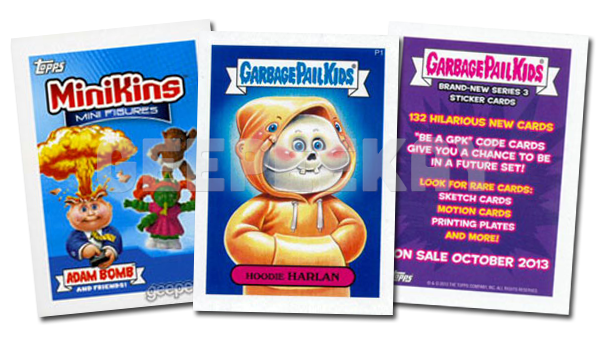 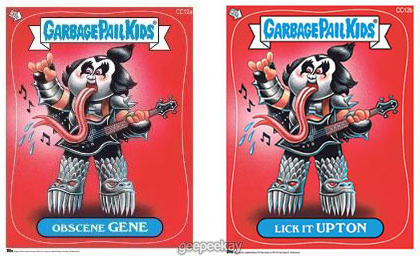 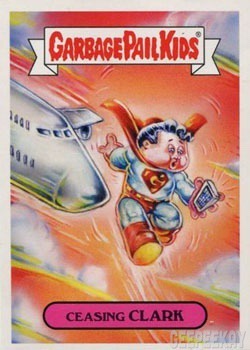 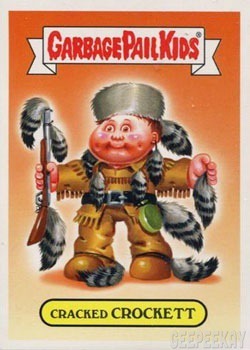 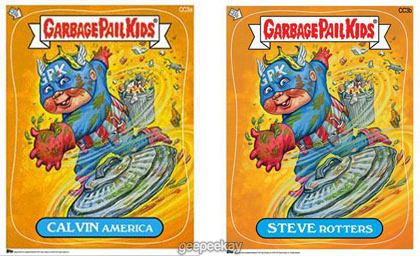 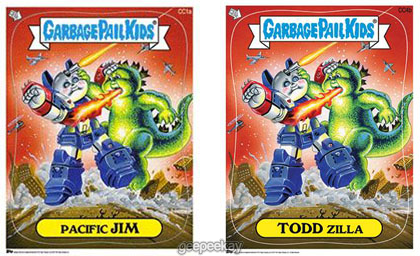 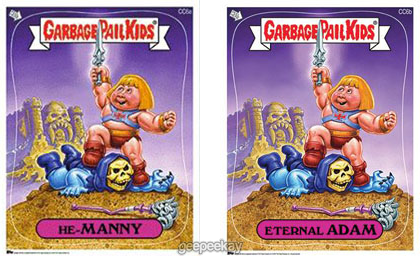 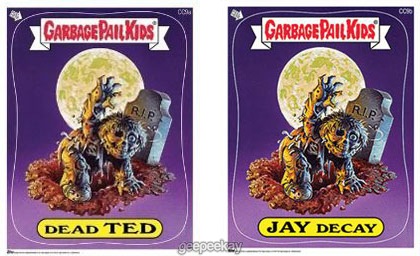 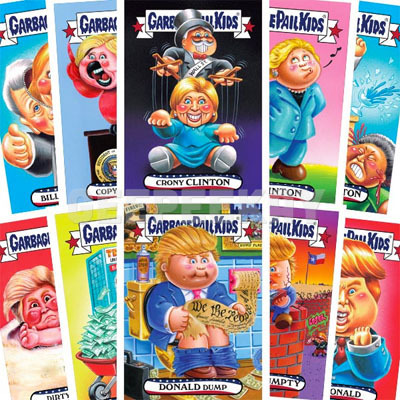 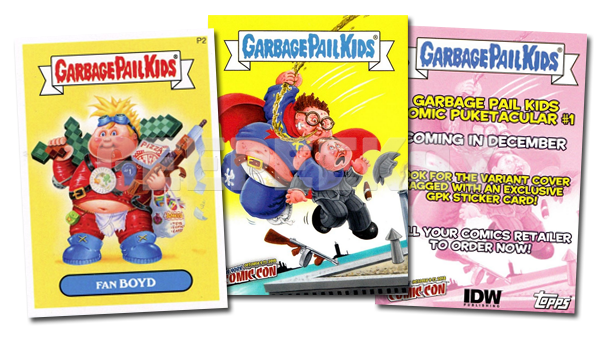 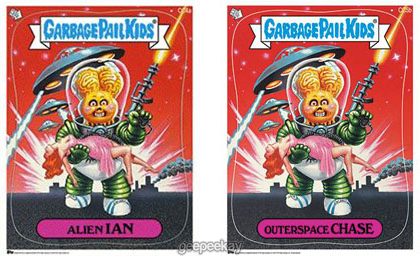 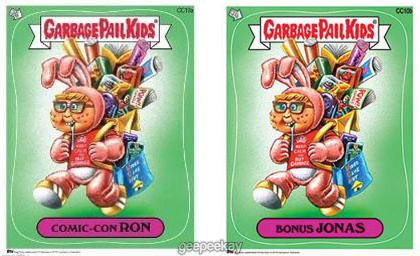 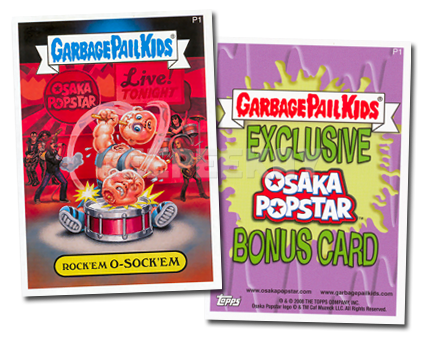 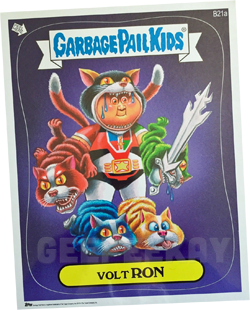 Over the years Topps has released Garbage Pail Kids items at a number of different CONVENTIONS. 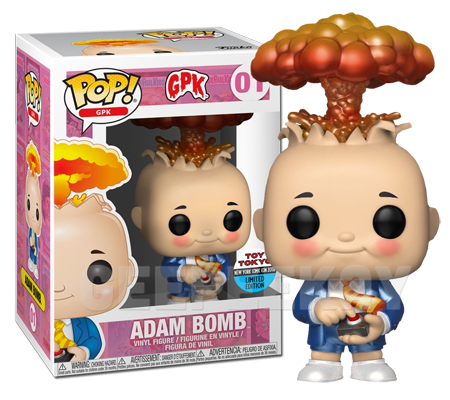 This page is intended to help collectors better understand these CON exclusives. 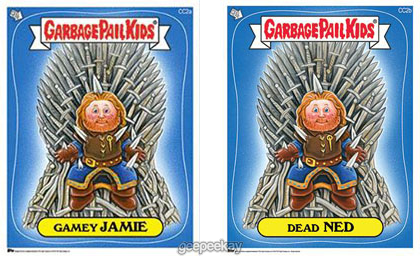 In July 2014, Topps sold the (6) 11 x 17 Jumbo Cards CC1-CC6 'a names' to collectors at the San Diego Comic Con. 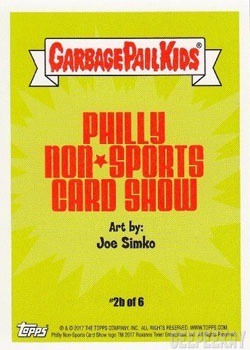 After the convention Topps offered the 'b names' for sale on their website. 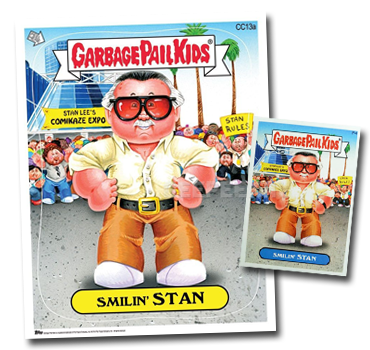 In October 2014, Topps sold the (6) 11 x 17 Jumbo Cards CC7-CC12 'a names' to collectors at the New York Comic Con. 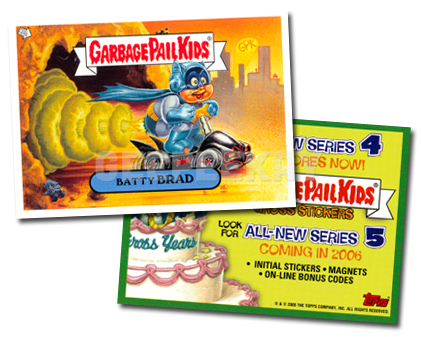 After the convention, in November, Topps offered the 'b names' for sale on their website. 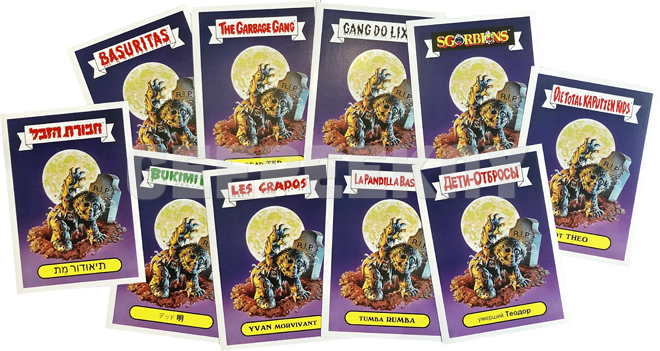 Not to be outdone by the addition of a new Funko figure, Topps unveiled a brand new set of cards at the show: Stranger Kids. 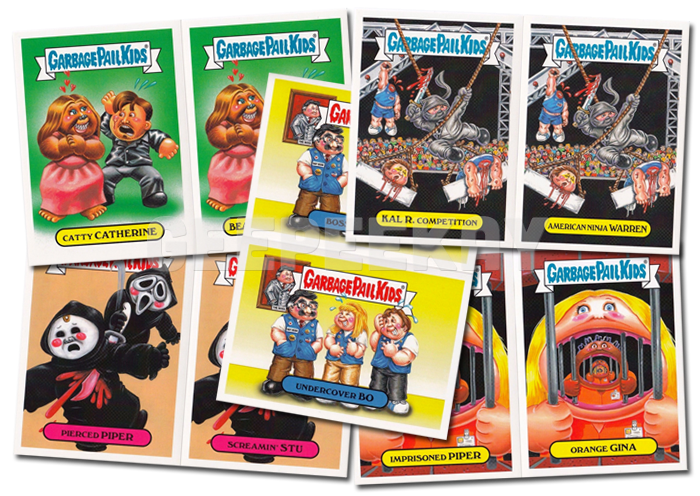 This 40 card set features 20 new paintings by Joe Simko, and puts a GPK-spin on the popular Stranger Things TV Show. 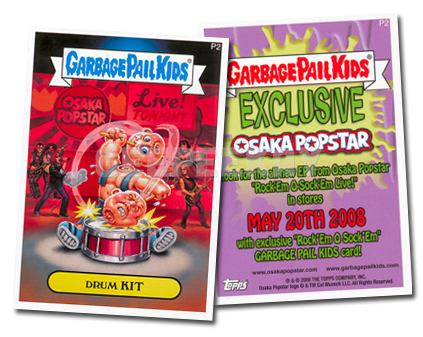 The sets were sold for $19.99 as separate 'a' and 'b' sets (20 cards each), were limited to 1 per person/per day, and came with one of four promo cards ONLY available at the show.